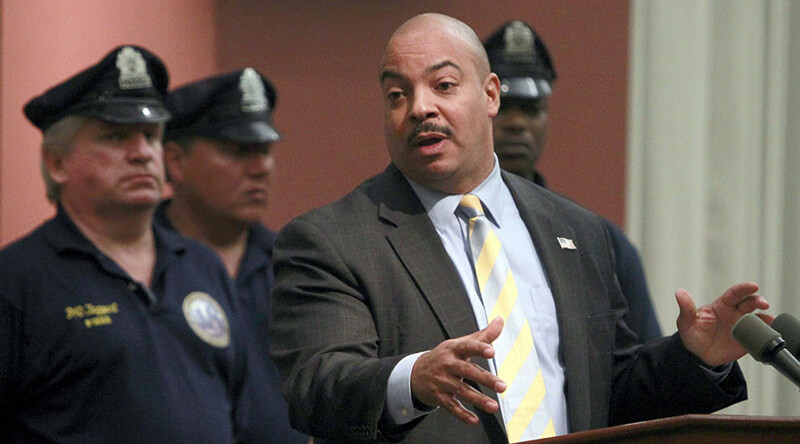 A federal grand jury has returned a 23-count indictment against Philadelphia District Attorney Rufus Seth Williams, charging him with taking bribes amounting to tens of thousands of dollars from two wealthy business owners. The charges were announced Tuesday by Acting New Jersey US Attorney William Fitzpatrick, who took over after the US Attorney for the Eastern District of Pennsylvania recused his office from the case. The indictment accuses Williams of accepting cash bribes and other gifts including 16 round-trip airline tickets, an all-inclusive vacation to the Dominican Republic and a Jaguar convertible. “The indictment alleges that as District Attorney, Mr. Williams compromised himself and his elected office by standing ready to help those who were willing to pay him with money, trips, and cars,” Fitzpatrick said, according to the Justice Department. “Mr. Williams’ alleged willingness to compromise his position of public trust in exchange for private financial gain is all the more unfortunate given that he was elected to protect the interests of the people of Philadelphia as their chief law enforcement officer,” he added. In exchange for the gifts he received, the indictment alleges that Williams asked a Philadelphia police officer to assist a business owner to get through security screenings at the Philadelphia International Airport on several occasions. Williams also allegedly offered to write official letters for the business owner to help them avoid screenings. That same business owner also allegedly asked Williams to assist them in obtaining a more favorable plea offer for an unnamed third person who was being charged in a criminal case that Williams’ office was conducting. Williams also allegedly took bribes from another business owner, in exchange for appointing them as special advisor to the Philadelphia District Attorney’s office in November 2012. At the time, the business owner was on federal probation for a tax conviction. The business owner asked Williams to send a letter to the California Department of Alcoholic Beverage Control before a hearing that could revoke their liquor license. The indictment additionally charges Williams with stealing more than $20,000 from a family member’s Social Security payments and pension income to pay for his own personal expenses. In order to conceal the bribes, Williams filed false personal financial statements from 2012 to 2015. When Williams learned of the case against him, he filed $160,050 in gifts for that period. In a statement issued after he filed, Williams said: "I believe that it is very important to provide the citizens of Philadelphia with a greater foundation of trust in their elected officials," according to the Philadelphia Inquirer. Williams took home a salary of $175,000 for his job and was the 11th highest paid employee in the city of Philadelphia in 2012, according to Philadelphia Magazine. “The charges against him cast a shadow on the District Attorney’s Office, our legal community and the entire city of Philadelphia,” Gross said, according to the Philadelphia Inquirer. The indictment is the product of nearly two years of investigation into Williams’ financial affairs conducted by the FBI and IRS. “The alleged misconduct, as specifically laid out in this indictment, is brazen and wide-ranging, as is the idea that a District Attorney would so cavalierly trade on elected office for financial gain,” said Michael Harpster, the FBI special agent in charge of the investigations, according to the Justice Department. “When elected or appointed officials stray from their sworn oaths, they must be held accountable. Combating public corruption remains the FBI's top criminal priority," Harpster added. Williams is scheduled to be arraigned Wednesday afternoon.